A typical 5-paragraph essay is an important part of academic career where students are asked to write a 5 paragraph essay to judge their analytical and argumentative skills. Many students fail to come up with expected essay as they don’t know the right format of such essays. Online class help expert advice students to learn the best way of writing such essays as they are necessary to pass post-graduate standard tests such as SAT, TOEFL, and ACT. According to Online class help writers, teachers assign a 5-paragraph essay to students to evaluate their knowledge, ambition and argumentative skills. They check how much effort a student put in writing an essay and what method he opts for collecting fact and figures. From format to the information quality, students shouldn’t ignore any step as your teacher is going to judge your abilities on the basis of this essay and check how well you can interact with reader and present your arguments. Five paragraph essay format includes a comprehensive introduction with a strong thesis statement in the last sentence, 3 argumentative paragraphs, and a conclusion. However, you can increase the number of paragraph according to the essay topic or as per the given requirements. Make sure that each argument goes in the favor of thesis statement and persuades reader the importance of the reach question. Once you choose a topic, the next step is drafting the outline of the essay. The outline figure outs the action of the plan plus you shouldn’t ignore the format of the essay that depends on the paper format. 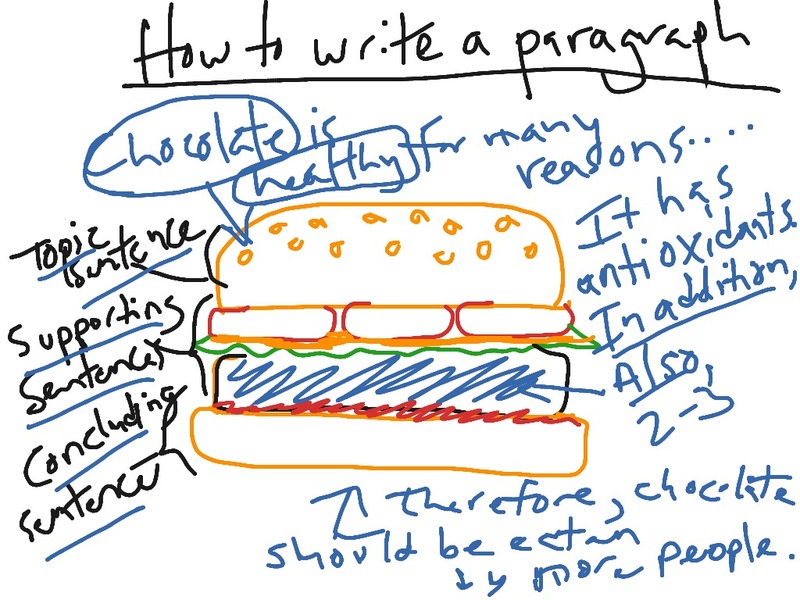 Here is a step by step guidance to write a five paragraph essay by our Online class help experts. It’s the most important part of the essay as determines the importance of the topic and the need for working on it. Begin with a broad sentence which develop the interest of the reader and convince him or her to study till the end. Stress the study problem, it’s importance to explore, and conclude the paragraph with powerful thesis statement. In three paragraphs, present three different arguments and support your points with facts and figures. Each paragraph should have the following structure. Paragraph Title: It reveals the main idea of the topic you are going to discuss in the paragraph. Evidence: Present an in-depth research about the topic comprises facts and figures. Present your feedback to evaluate the selected evidence in commentary part. Conclusion: Conclude the paragraph with the main idea and relate it with the actual topic. Repeat: Repeat the same process for other two paragraphs. Review and re-write the thesis statement and provide a summery at the end that shows the motive and specific action about the essay. Online class help is a great service you can get to write a great essay to ensure maximum marks in the exams or learn the best way to compose a great essay.